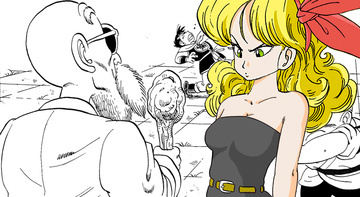 Bulma's personality is like the typical female characters in Toriyama's stories; nagging and temperamental. Bulma at first is identical to the image of a pampered city girl for most of the series; arrogant and adventurous, but afraid of being alone. Her arrogance can be seen to stem from her intellect; Bulma is most recognized for her fierce determination to get what she wants, and can be viewed as reckless in those quests. Bulma is well known for her intellectual approach to situations and her sexiness. Master Roshi frequently harasses her. She is also very proud of her abilities and can be very cantankerous when slighted, which may indicate a similar approach with other men. 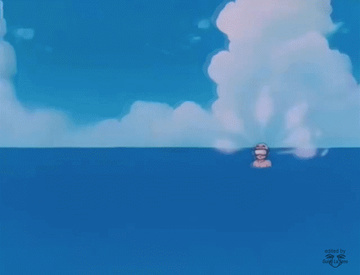 Throughout the series, Bulma goes through many life-threatening situations and is often a damsel-in-distress, needing the protection of Goku and the others. Bulma mellows out as the series continues in the present timeline, ultimately befriending Vegeta and helping him adapt to Earth. Initially depicted to support Goku, whom she affectionately calls Son-kun, her relationship with Vegeta and his rivalry with Goku sparks a friendly rivalry with Chi Chi, but she manages to remain one of Goku's strongest supporters due to their long friendship.